Assignment for Week 2 is to work on a creative application for switches and LED circuits. Then I wonder if I could make a interesting application with just switches and LED circuit. Gestures are always good body language for human. Why not combine LED circuit with a certain gesture. 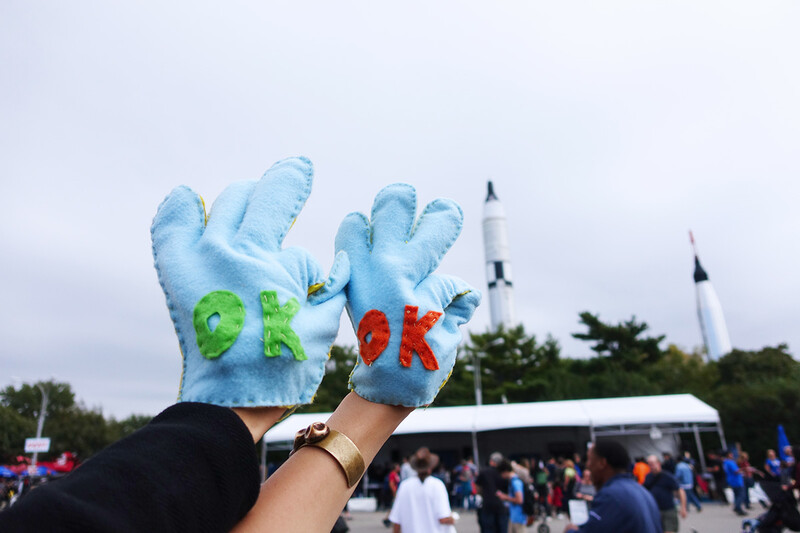 Let’s make a OK Glove! I try to cut Coke bottle as the conductor of my glove, but it turns out that the conductivity of this aluminium bottle is poor. Therefore I have to find another materials for my switch at home. So I decided to use gasket and coins as conductors for my switch. I try to add some changes for LEDs since I have been using Arduino to power the circuit. Therefore, every time you posing a OK gesture, the LED will flash quickly and then slow down. Let’s make a more beautiful and funny glove!